Academic writing can be hard and it can be tedious and often thankless job (besides your editors who are thankful that you finally got the damn piece in--oh wait, that's probably just me!). However, when the article is final complete and published, you do get a sense of accomplishment to see it in print. Herein are some of the publications that I've had over the last 2-3 years. 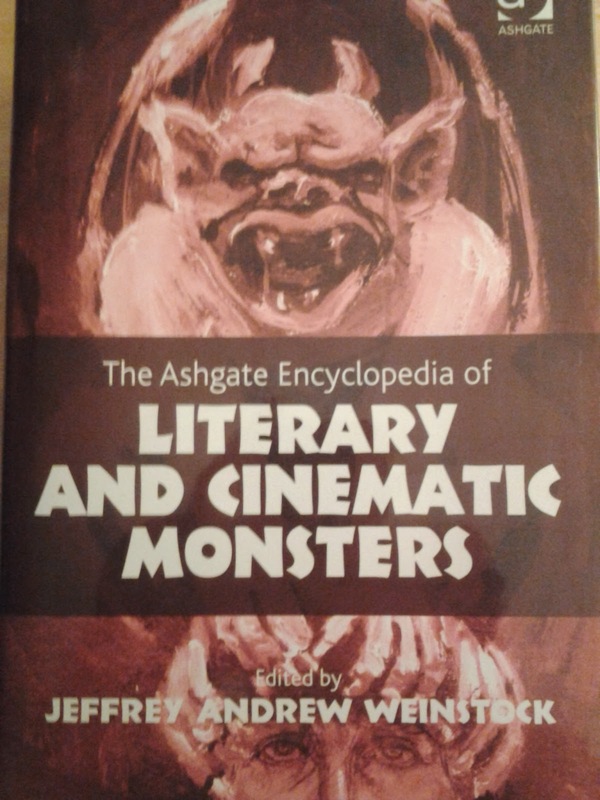 The Entries: "Hyde, Edward" "King Kong" "Robots" and "Extraterrestrials"
The Publication: The Ashgate Encyclopedia of Literary and Cinematic Monsters, ed by Dr. Jeffrey Weinstock from Ashgate Publishing Ltd. March, 2014. Getting to write about monsters is always pretty fun. However, the 10,000 word article on Extraterrestrials was a bit too much and I needed help in completing it. But this encyclopedia is definitely an encyclopedia to have on the shelves! I found writing about Hyde and Kong fairly easy because the word count was small and it was clear what I had to focus on since they were singular characters (essentially). Robot and Extraterrestrials were a bit more challenging since covering both literature and film opens up a lot of content and ideas to address. The journey of this publication is epic in my own experience but also in the ceaseless efforts of the editors. I first wrote this as a paper for grad school at UMASS Boston in American Studies in 2006. The following year, I presented it at conference in Florida where I was on a panel with Thomas Donaldson. Julian Chambliss and William Svitavsky were also presenting and if I remember correctly (which I probably don't) were also paneling the chairs on comics. Donaldson had the brilliant idea of pulling all the papers on comics into a book and find a way to get it published. Well, several years after ceaseless efforts on the editors' behalf, they pulled together a book and get it published. 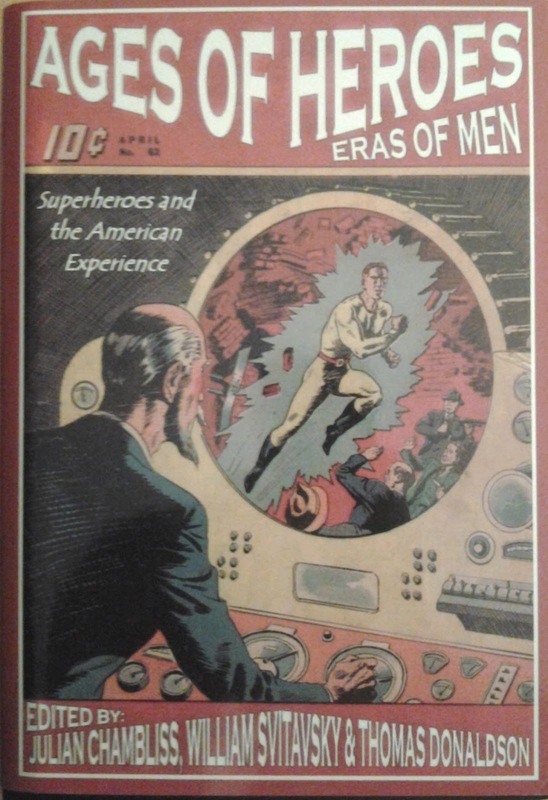 My entry in this book I think is interesting because I highlight the intersection of sidekicks, censorship campaigns, and original perceptions around Superman. 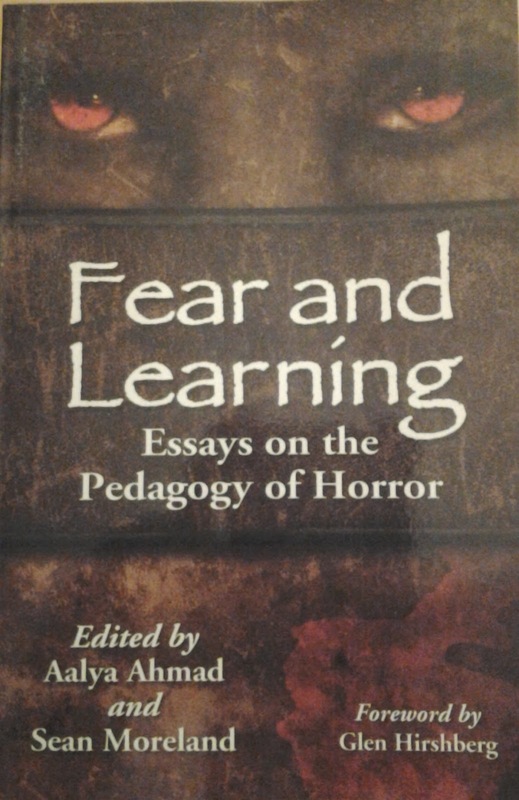 The Publication: Fear and Learning: Essays on the Pedagogy of Horror edited by Aalya Ahmad and Sean Moreland, McFarland Books. Spring, 2013. This article was born out of the opportunity to teach a course on monsters at Emerson. I started using The Strange Case of Dr. Jekyll and Mr. Hyde and eventually, found myself connecting it to The Incredible Hulk and continued to flesh out that connection to the point where I found that Hyde feeds into Hulk and Hulk eventually feeds into our modern-day perceptions of Hulk. When this call for entries came around, I couldn't help but leap for it. This collection as a whole is pretty great in helping to utilize horror as a teaching tool. The Publication: Icons of the American Comic Book: From Captain America to Wonder Woman, eds Randall Duncan and Matthew Smith from Greenwood Press. February, 2013. This article was also born of my teaching. I've used Larry Gonick's Cartoon History of the Universe regularly in the history courses that I've taught. I find it a useful text for students to start thinking about the subjectivity of history. I've also had the opportunity to interview Larry Gonick. So when I had the opportunity to write an article about him, I took it. I was also familiar with Smith and Duncan's work because I've used their book, The Power of Comics in the course on comics I teach which is an excellent book. I was quite proud of this article as I feel it was a first real attempt for me to academically discuss audiobooks and what paths of research are possible when we start looking at them through an academic lens. Originally, this article was supposed to be part of a book on adaptation but got cut at the last minute. 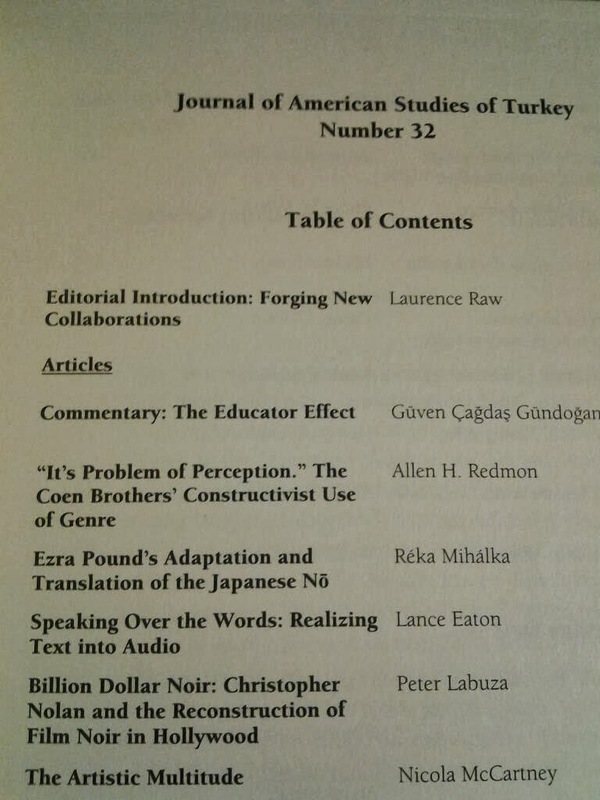 The editor, Lawrence Raw, was kind enough to then also include it in this journal that he edits. It's probably not its most ideal home but it is a start to getting it out there. These are not the only publications that I have under my belt. In fact, I have an ever-growing publications section in my CV. The best place to keep up to date with my publications would be on my professional website. However, these are some of the best publications I've had in the last few years.